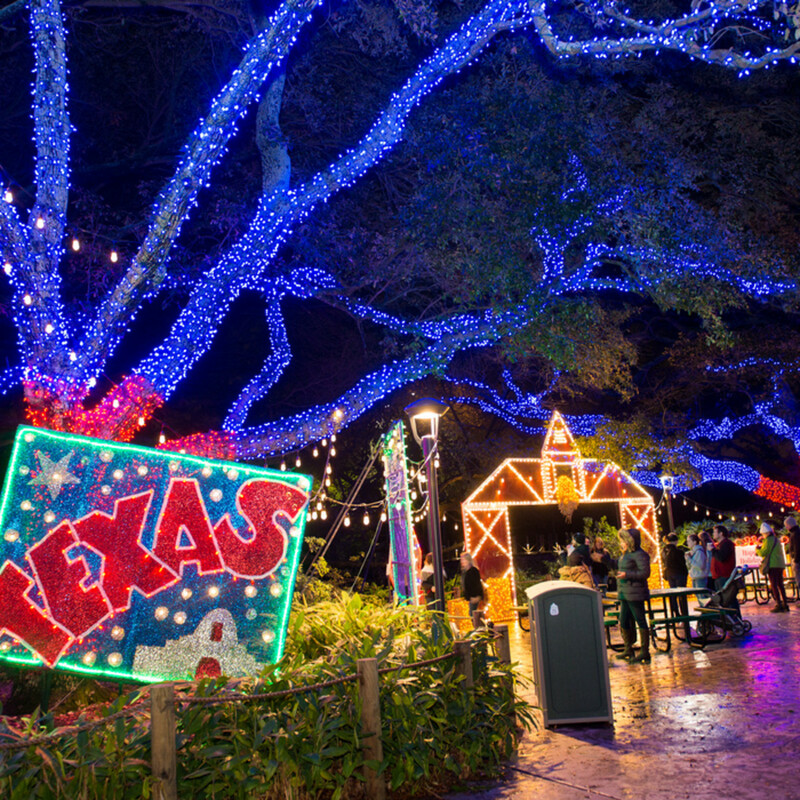 Few things make this time of year more festive than seeing twinkling lights everywhere, which is why the Houston Zoo turns itself into a sparkly winter wonderland through January 13. 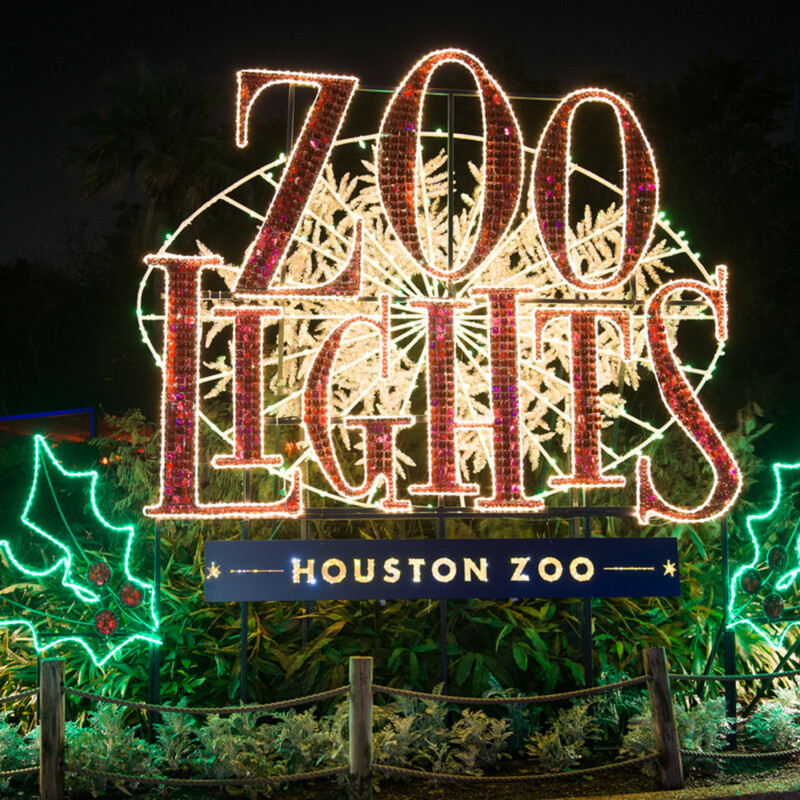 TXU Energy Presents Zoo Lights is back for its seventh year, promising larger-than-life decorations, interactive displays, and plenty of photo ops. 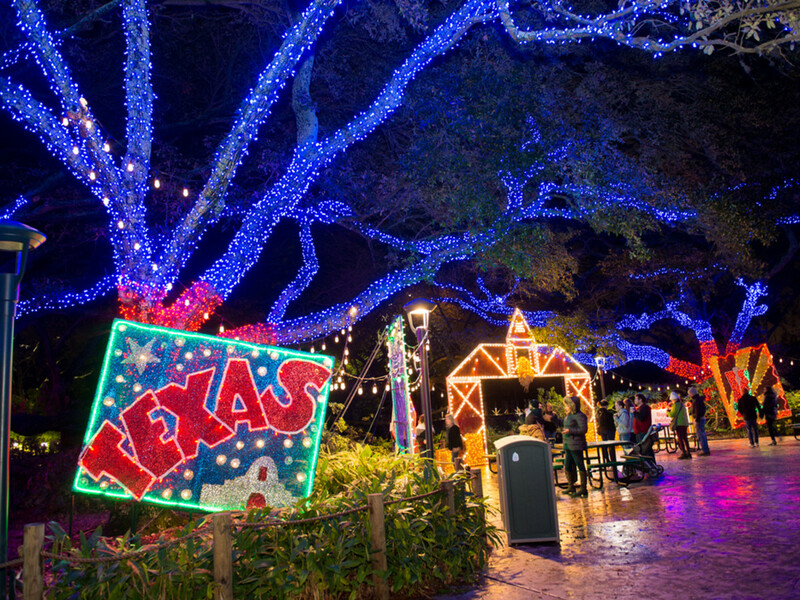 Also sponsored by H-E-B, Coca-Cola, and KPRC Channel 2, the magical setting is friendly for the whole family, opening at 5 pm and extending until 10 or 11 pm, depending on the night (check online for specific dates, and note that it's closed on December 19, 24, and 25). 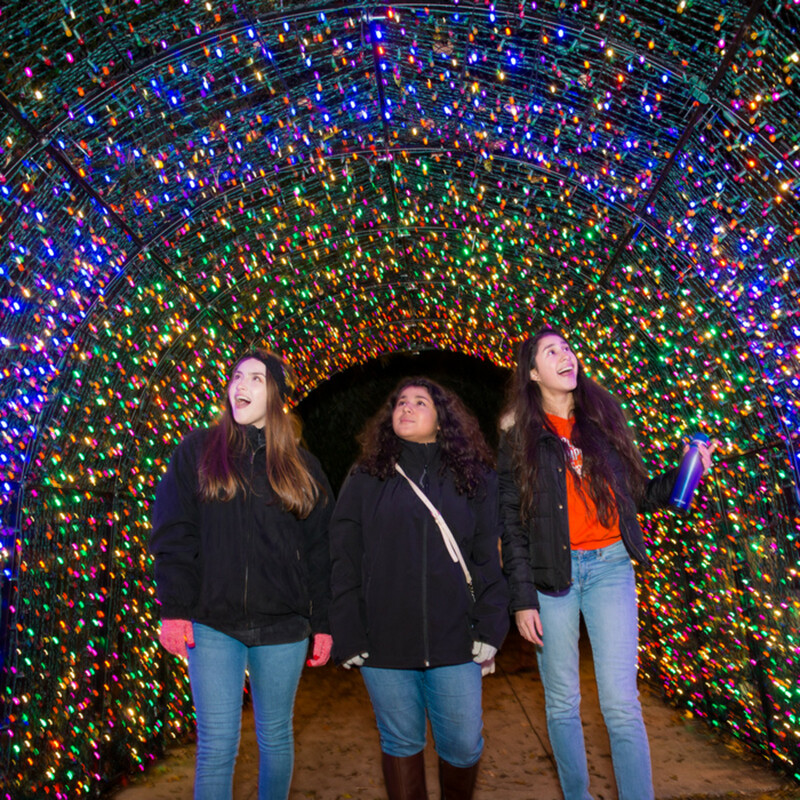 The animals will be tucked away for a winter's nap, but you can stroll by eco-friendly LED lights illuminating the pathways and ancient oak trees throughout the zoo. 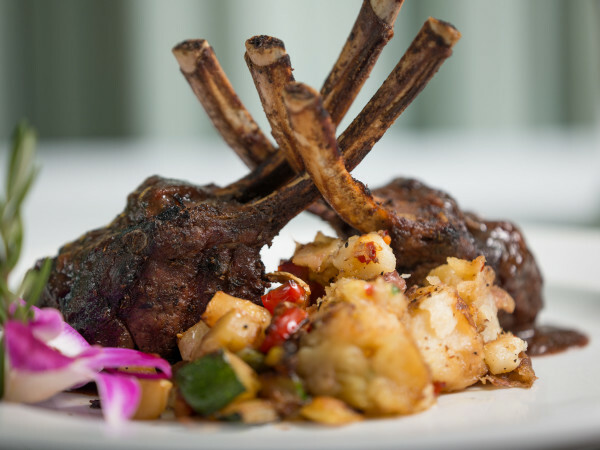 You will spot the animals at the Watering Hole, presented by Texas Capital Bank, out lighting up the night. Also stop to say hi to Candy, the interactive talking zebra presented by H-E-B. Stroll through the Enchanted Forest, presented by King & Spalding LLP, while sipping hot chocolate and marvel at the flowers and plants that have been created by pure imagination. Glimpse multiple trains winding through a miniature winter village at the Holiday Train Village, presented by Macy's. Ready to snap some pics? Pose by the giant Happy Holidays from Texas, Y'all postcards presented by Texas Direct Auto, take your time in the Light Tunnel presented by KSBJ, and then seek out the 33-foot-tall holiday tree presented by TransCanada. 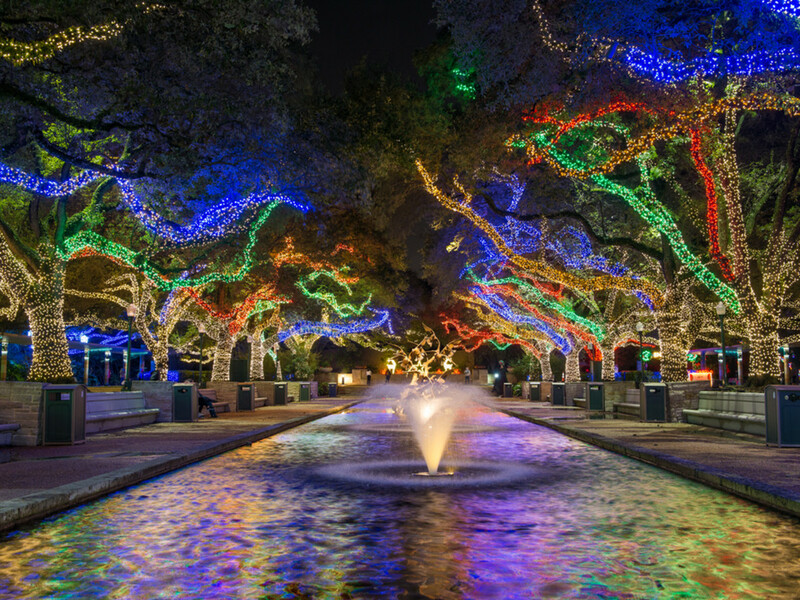 It's adorned with colorful, custom-made decorations and 22,000 lights. 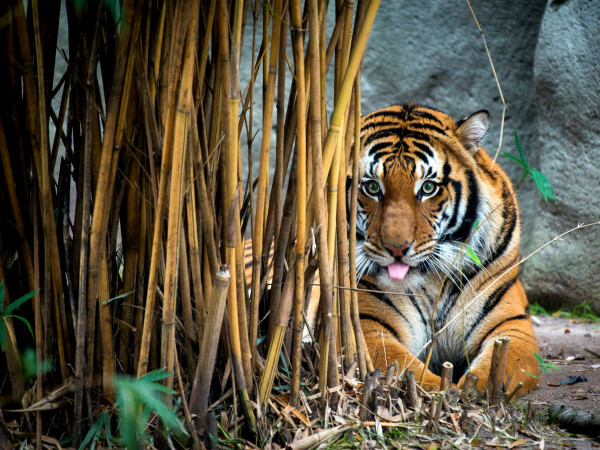 Speaking of lights: There's an easy way to save animals in the wild when you visit the zoo. 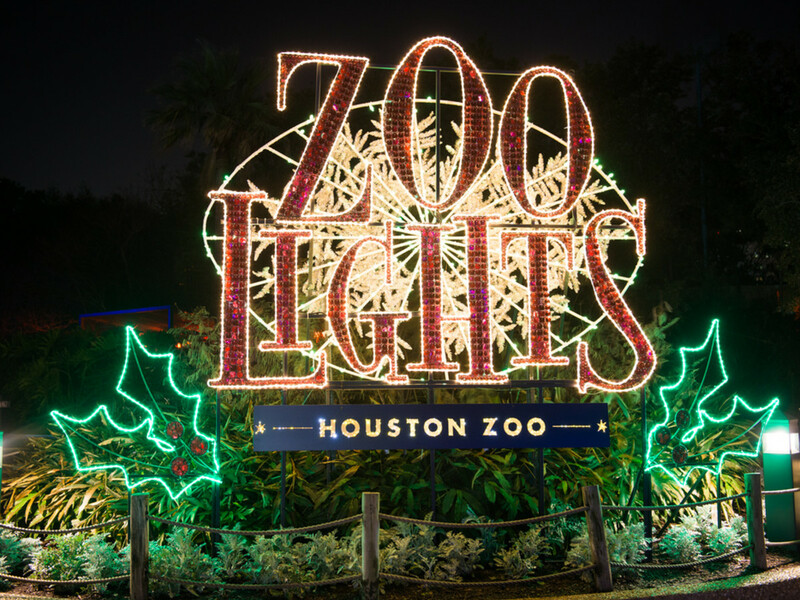 Bring in your old or broken string lights and the Houston Zoo will help keep them out of landfills — which means more space for animals to roam — by recycling them. Please do not bring other items such as floodlights, extension cords, or light hooks. 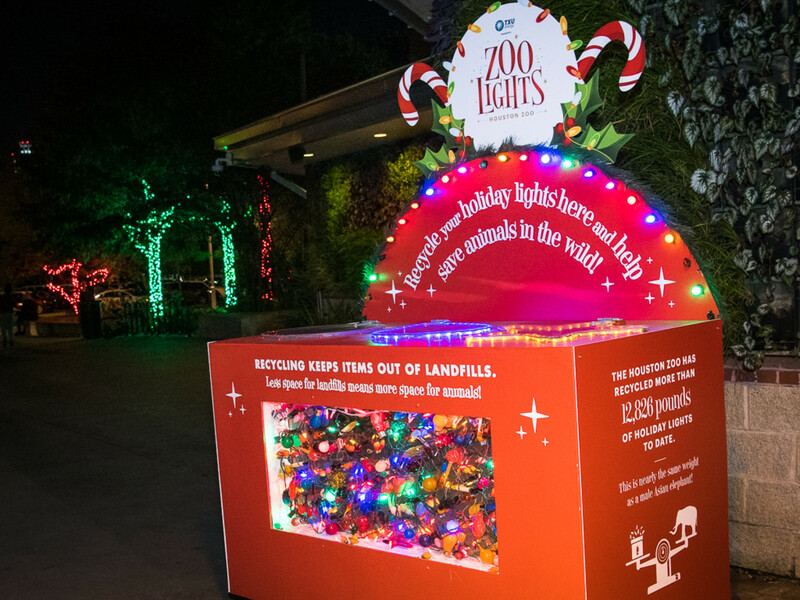 So far, the Houston Zoo has recycled 12,826 pounds of holiday lights — nearly the same weight as a male Asian elephant! 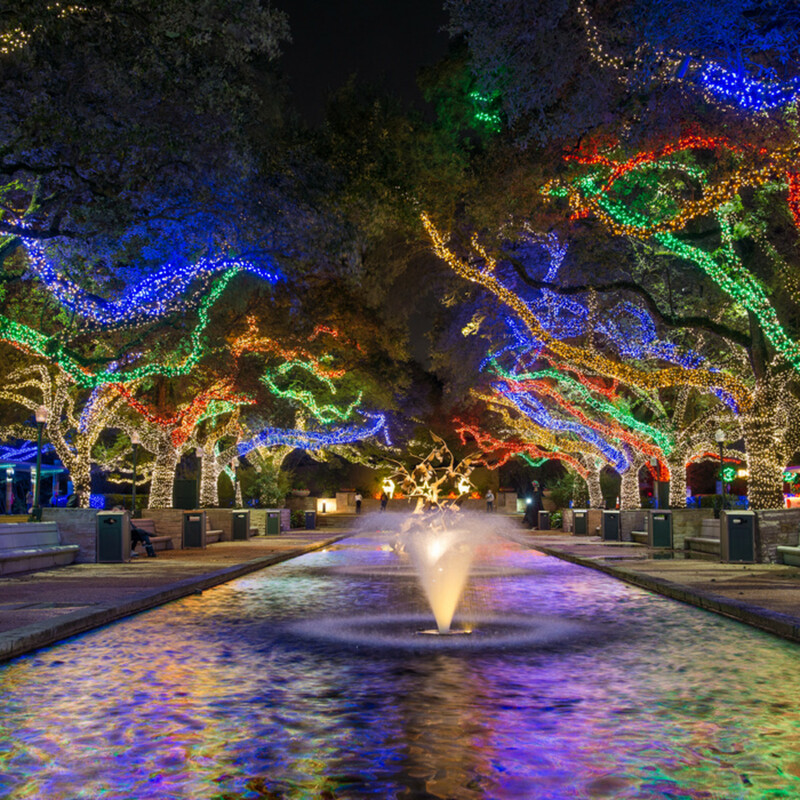 You can bring your holiday string lights to the main entrance of the Houston Zoo, at 6200 Hermann Park Dr., until January 13. 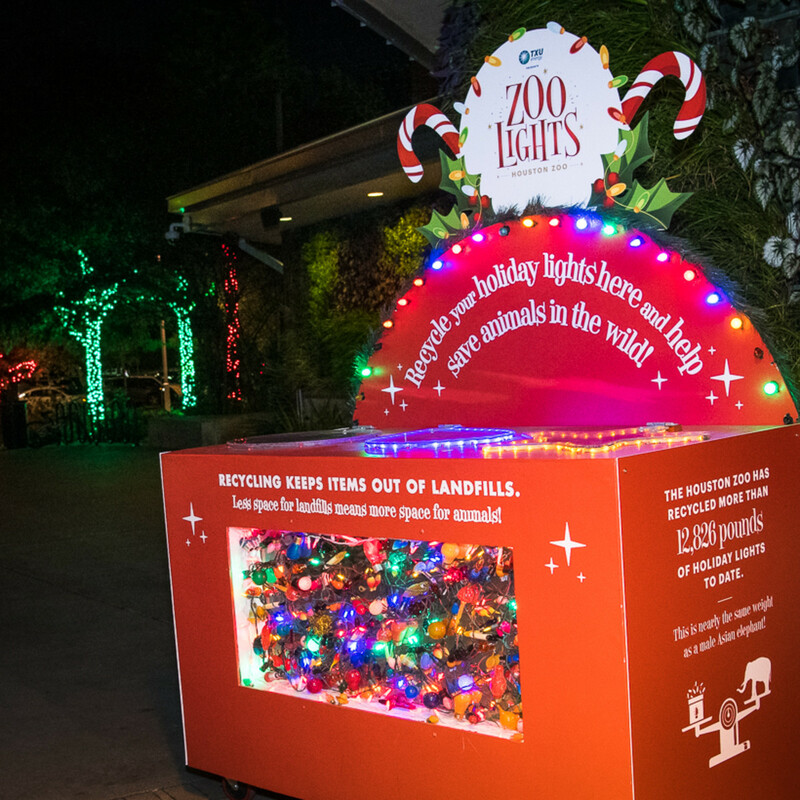 Simply place them in the bin that says, "Recycle your holiday lights here and help save animals in the wild." 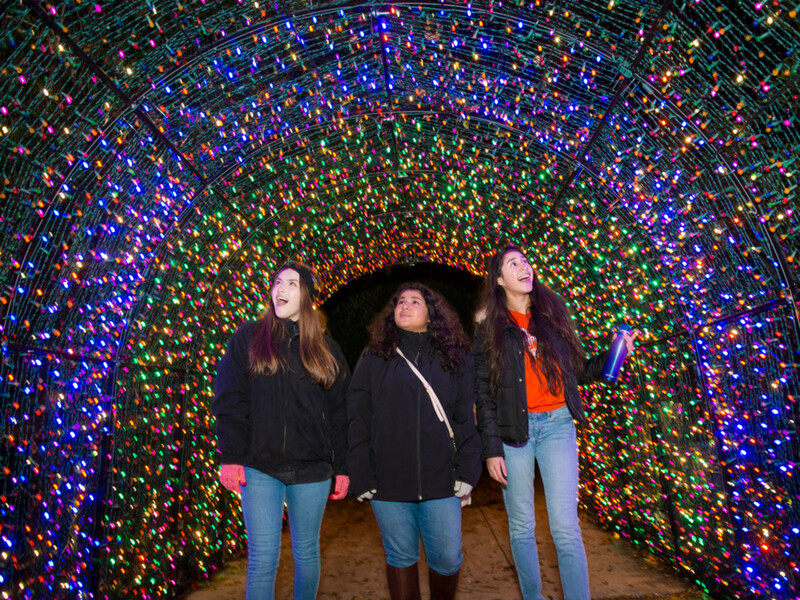 Enjoy more of your time at TXU Energy Presents Zoo Lights by purchasing tickets online in advance (you can save money by choosing a Value Night). 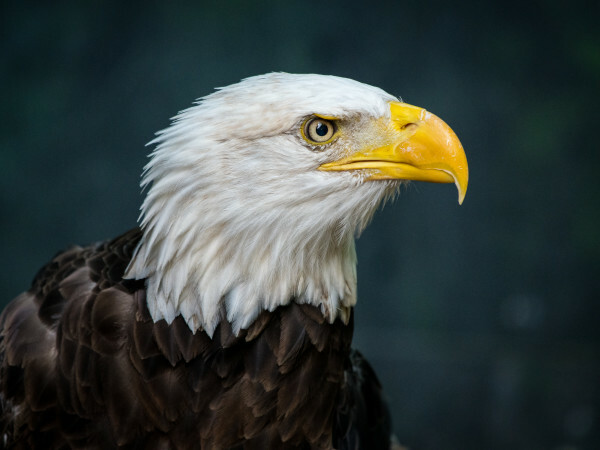 You'll also find tips on the website for the best places to park and information about the free shuttle, which will make your arrival and exit so easy.